Product prices and availability are accurate as of 2019-04-21 00:12:31 UTC and are subject to change. Any price and availability information displayed on http://www.amazon.com/ at the time of purchase will apply to the purchase of this product. 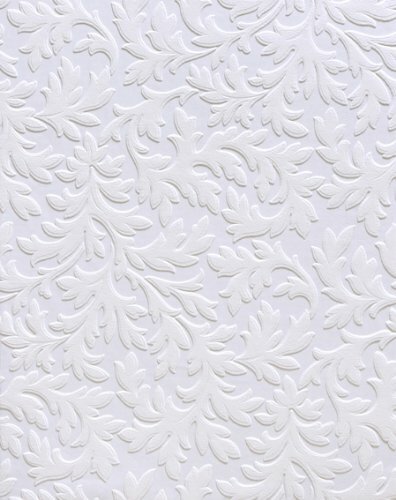 With an elaborate leaf design dazzled with fresh acanthus detail, this paintable wallpaper offers a chic and affordable décor option. With the freedom to customize in the paint color of your choice, have fun painting and repainting at your convenience.